Last year, after more than a decade of U.S.-led energy diplomacy…a final investment decision was made on the development of a pipeline that will bring 10 billion cubic meters of non-Russian natural gas from Azerbaijan to southern Europe by way of Georgia, Turkey, Greece, and Italy (Source: Statement of Amos J. Hochstein, Deputy Assistant Secretary for Energy Diplomacy, U.S. Department of State, Before the House Subcommittee on Energy Policy, Health Care & Entitlements). The question is how far Europe is willing to go in this direction and to what extent it will include U.S. LNG. 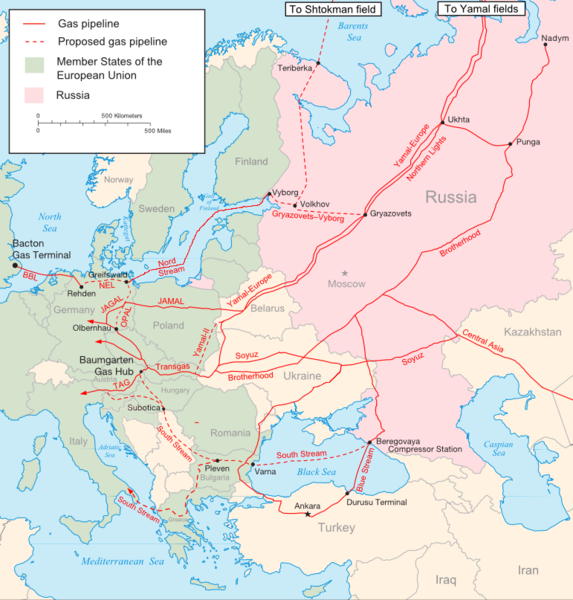 In any case, our work on the Southern Gas Corridor shows that, despite the comments of a few politicians, the overriding concern of the United States is for Europe’s security and stability. It is dawning on everybody that Moscow simply has too much leverage over Europe.